The announcement that AirAsia is joining hands with the Tatas and Bhatias with the intention to start a new airline in India will put the a significant policy dilemma in front of the Government of India related to foreign direct investment (FDI) in civil aviation by foreign airlines, and might just land-up derailing the goals of the fledging policy. 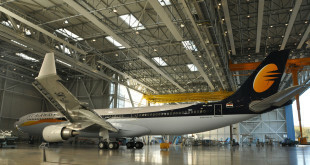 While the policy is not explicit, so as to avoid any problems before the Competition Commission of India (CCI), the policy is framed to help the weak balance sheets of existing India airlines, and more importantly the banks, many of them government owned, who have already loaned vast sums of money to this sector. Indian civil aviation minister Ajit Singh. The statements and policy are logical. Thanks to years of regressive policies of the Indian government, and the ludicrous taxation structure, especially on aviation fuel, Indian carriers carriers’ balance sheets are awash with red ink. Air India has over $10 billion (over Rs. 55,000 Crore) in liabilities, while Kingfisher Airlines is in for over $3 billion ($16,000 Crore). Even the country’s more “financially stable” carriers like Jet Airways and SpiceJet has are stress situations with skewed financial ratios, and growth strongly hampered by a lack of capital. With much of the money being siphoned in to Air India, and the financial implosion of Kingfisher, Indian financial institutions neither have the funds, nor the appetite, to lend any more to the airline sector. FDI is needed. However, if foreign airlines are allowed to set-up new greenfield airlines, they need not risk investing in the existing airlines. They can start fresh, with no liabilities, benefit from not making or suffering past mistakes of operations or policy, bring in expertise and massive financial strength, and blow away the fledgling domestic sector. We have already seen this happen in the international sector, where the government in its infinite “wisdom” required Indian carriers to operate for five years before they could fly international, while allowing even newly formed foreign carriers to operate to India, thus giving foreign carriers time to establish themselves with nil to minimum competition. 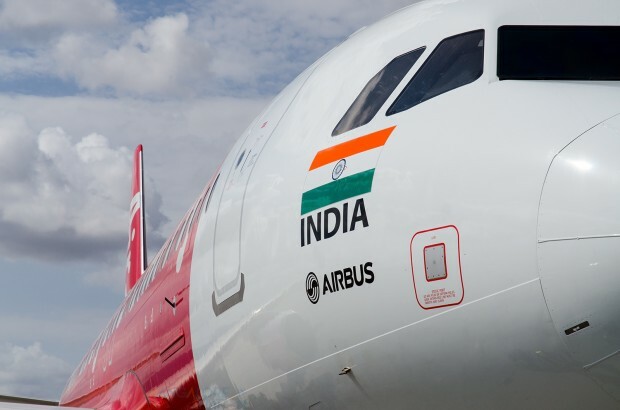 Today, Indian carriers are restricted to the sidelines, while the unofficial national carrier of India is not Air India, but Emirates; with India contributing over 11% of the airline’s total capacity. No small feat, considering Emirates is the world’s third largest airline by seat capacity. 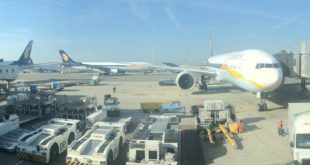 India’s largest private carrier, Jet Airways, is negotiating with Abu Dhabi based Etihad to sell them a 24% stake for about $300 million (Rs.1,600 Crore), which is a premium considering Jet’s total market capitalisation (mcap) is just Rs.4,575 Crore. Just as a comparison, AirAsia Berhad mcap is Rs. 12,842 Crore. Jet leads Indian companies with a sky-high debt to equity ratio of 84 times, almost 1,000% of the next company in the list, or 4,300% of the 1.95 of AirAsia). Its total debt is in excess of Rs 11,030 crore. Thanks to losses over the years, the company’s reserves have depleted almost 50%, thus declining equity, and leading to the increase in the company’s debt to equity ratio. The airline needs to raise equity capital by inviting FDI from foreign airlines. Earlier this week, the Chairman of Etihad, Sheikh Hamed bin Zayed al-Nahyan, delayed the deal citing concerns on policy flip-flops by the government. How will Etihad view an approval to an “India AirAsia”? That will have to be gauged in the time to come, but, for certain, allowing foreign airlines to set up greenfield airlines will have a negative impact on the attractiveness of existing airlines, and by extension the health of their debts, and the health of the Indian financial sector. Even as an unabashed believer in capitalism, in my humble opinion, while an “India AirAsia” will lead to lower fares and more competition, ultimately it will be we tax-payers who will be left holding the proverbial bag as the government will be forced to bailout the banks. Allow foreign carriers to set-up greenfield airlines, but after a period of time, may be three years, for now, get them to invest in Jet, IndiGo, SpiceJet, GoAir, and if the government ever comes to a logical sensibility, Air India. I am advocating the same approach as of Mr. Ratan Tata, a leading member of the “Bombay Club” which over 20 years ago, proposed a similar go slow approach on liberalisation. As usual, your thoughts, comments, feedback and counter-views are welcome. The video below is a panel discussion on FDI in civil aviation, soon after the policy announcement, from NDTV. If you cannot see it on mobile or on the RSS feed, please visit the main Bangalore Aviation website. Previous AirAsia, Tatas and Amit Bhatia seek approval to start airline in India. Is SpiceJet the target?